We all met up at the BP Blacksoil (more like took it over!!!) for leisurely start at 9am. The weather was great with blue sky’s and a pleasant temperature. We had a great turn out for this trip with 15 vehicles and 19 kids between them. It was good to see the regulars as well as some new faces and some old friends who don’t get out that often. From Blacksoil we headed west in convoy along the highway to Gatton. Heading through the country side with felids either side it was always going to be a risk that El Presedante was going to veer off with his Massey Ferguson Jackaroo and start ploughing a field – fortunately with Clouty’s help we were able to keep him in Convoy and on track. The absence of clubs Pseudo mascot Boxxy was felt quickly, however it made up for just a quickly with plenty of witty remarks at his expense. Once we reached the end of the bitumen and got on the dirt we had brief stop to air down and lock hubs in. It was obvious from the start of the track that a lot had changed since we were out here last. We headed up the first climb up the range and were greeted with plenty of minor washout’s off camber corners and steep rocky sections. All vehicles made it up without any hassles and were met at the top of this climb with a glimpse of the spectacular views that we were going to get throughout the day. The next section of the trip took us along the ridge track that was nothing more than a dirt road with a few mud puddles, but was still an enjoyable drive with plenty of scenery to keep us occupied. When we reached the base of the next climb we split into two groups. Those looking for a challenge went straight ahead up the heavily rutted climb while those wanting a more scenic route stuck to the right hand track. The hill climb had changed significantly since our last visit and offered up more challenges that were all met with smiles by those attempting them. Myself, Reddog, JeffW, Chucky, Jnr Chook, Iananita and Willow all took on the climb. It was great to watch the traction control in Willow’s mighty 200 make light work of the climb as well as the capability of Chucky’s Navara in keeping up with the bigger trucks. The Massey Ferguson also might light work of the track. From here we all met up and headed east on the track (last time we headed west due to Boxxy’s urgent need for a bathroom break). 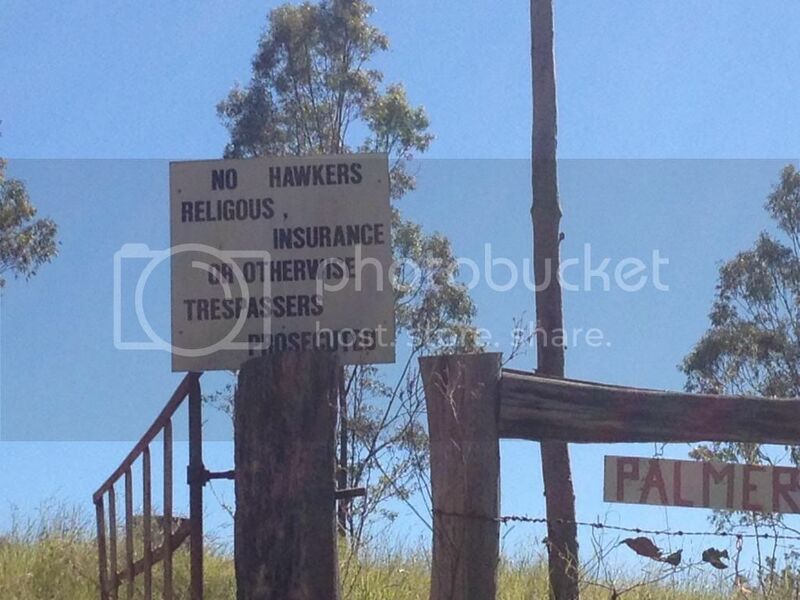 Unfortunately we were met with a locked gate within a couple of hundred meters – it appears the eastern section of Lockyer state forest is still closed. From here we decided to head back along the track to where we had lunch last time in the Ravensbourne National Park. The drive to the park was scenic along dirt roads through heavily wooded forest with the odd glimpse of the views back to the south. We stopped at the Gus Beutel lookout for lunch and to let the tribe of Kids that we had with us burn off some energy. From the lookout we got views back down towards Gatton and to the east to Wivenhoe. After a leisurely feed under a big fig and with worn our kids we started the trek back down the range. The dry weather road from the look out that was shut on the previous trip was open this time so we headed out that way. This track takes you into dense rainforest on a red clay track. There was some slippery sections and boggy holes that made for some fun driving. This track pops out the other end into farmlands up on the tableland and is once again a total change of scenery. Our direction from here was down. 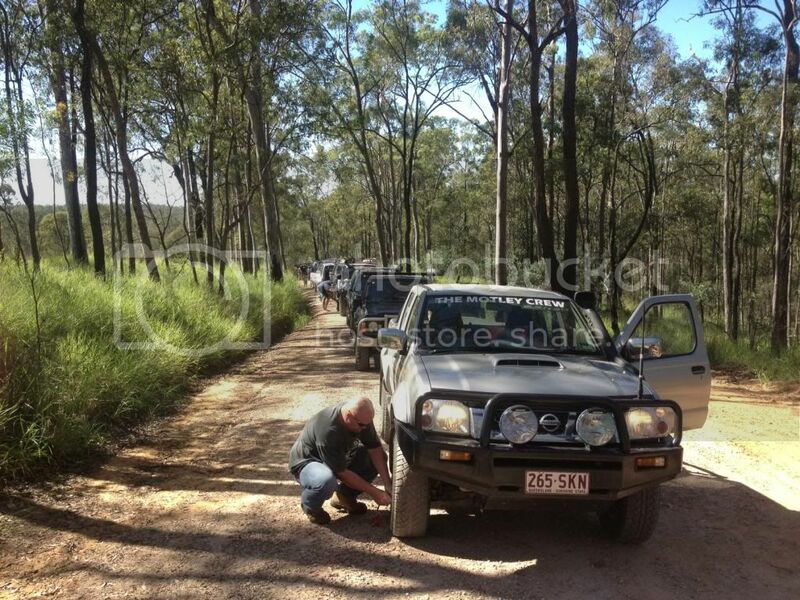 We would our way down well maintained dirt roads through eucalypt forests towards Murphy’s Creek. As we snaked back and forth over the creek there was still evidence of the volume of water that had carved its way down back in 2011 with many of the crossings only recently being repaired. The creek offered a nice spot for a future lunch stop (perhaps in the warmer months). We regrouped at Murphy’s Creek and called it a day from there. It was a good day out with a great group of people. I would encourage those with photos to share them on here (my camera was flat). Good Report mate, had a great day. How does it sound? Jackatractor. Photos from the weekend . . .
Great pics Clouty - Love the pic of my Truck. I did not realise how steep that section was being the last truck up. Great pics there Rod , looks like i missed out on a great day .